Little bees are busy gathering honey and at the end of the day they have a story to tell. Here is an activity that allows children to use their imaginations to write a Bee story. Finger play: Sitting on a Flower with Bee puppets by Debbie Hasbrook M.Ed. Materials Needed: blank paper any color, crayons, markers or paint, cut-out bees to start the story, cut out bees on tongue depressors or pipe cleaners to make puppets. 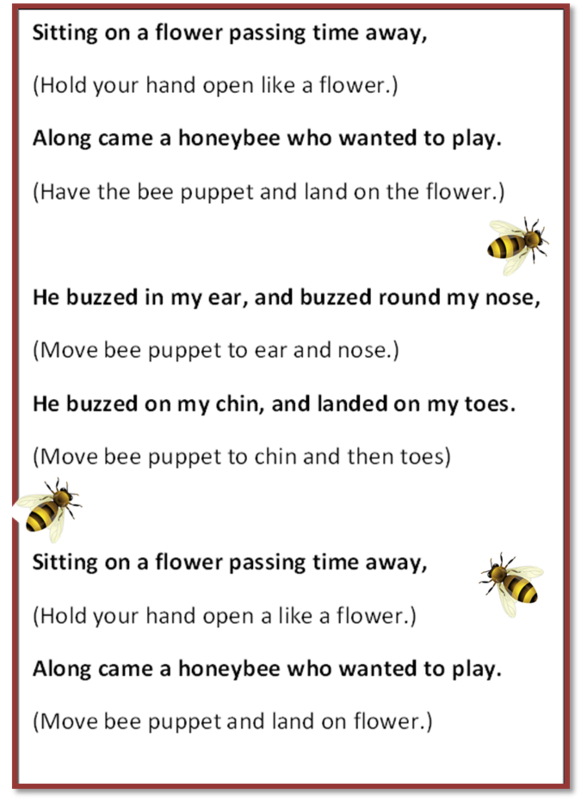 While you are reading the story give each child a bee puppet. Let them use them to sing the song. Save them for another day, or let the children take them home. 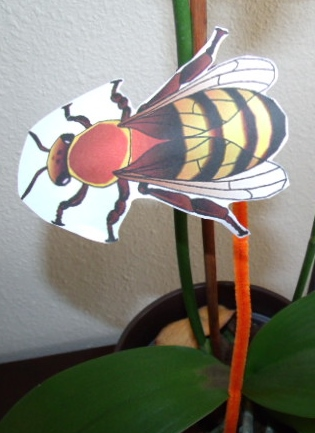 Let the children glue a bee anywhere on their paper. 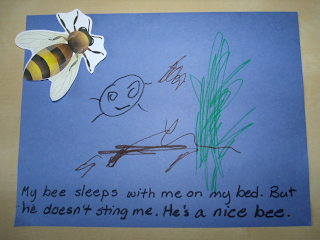 Have the children draw their bee story. If children can write let them write their own story. If not, write their story as they dictate it to you. Display pictures of a bee, hive, and flower with a bee on it. Label each one in case the children would like to try and write the words. Display the stories in a public space for everyone to enjoy.